Our Derbyshire based wine tastings are a great way to catch up with friends at home or as corporate events for clients or team building with colleagues. We have a number of different wine tastings and formats to entertain as well as educate, with all the most important element is having fun. If coming to your work or home is not possible we can recommend venues in Derbyshire that are happy to accommodate wine tasting. Often, provided your group has a meal after the tasting, many restaurants will allow you to use their private room free of charge. All from ThirtyFifty the award winning tasting company. If you are looking to go out restaurants with private rooms are a great place to have a wine tasting followed by a meal. We have worked with a number of venues in Derbyshire that we are happy to recommend. The list below highlights our most popular Derbyshire wine tasting venues, to see our full list of venues across the country please go to our venues page. 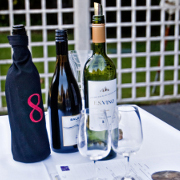 We offer great value weekend wine tasting breaks in Market Bosworth (30 miles south of Derby). If you live close by you can also attend just the Saturday tasting for £85 including a buffet lunch, but without accommodation. If you are only attending the day tasting we strongly recommend you don't drive yourself. The closest train station is Hinckley, with Market Bosworth a 15 minute taxi ride away. Please call ThirtyFifty on 020 8288 0314 to discuss this. All our day or weekend courses make brillant wine tasting gifts for friends and family. Our Lichfield based wine expert can normally cover most events in Derbyshire and the travel varies depending upon where you are in the county, but typically it would be around £30 to £40. This is subject to availability so do get in touch if you would like to know more or check availability.